Gifting in the corporate world is a very thoughtful act and should be done right so that the gift can be appreciated by the receiver. 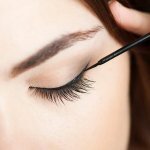 When the receiver is a woman, there are certain things to consider before deciding on the most appropriate gift. Want to find out? Read on. Who doesn’t like a gift! A gift can bring a smile to anyone, irrespective of their age or gender, but it is a tricky task too, which may prove to be worthless if the recipient doesn’t need or dislikes it. 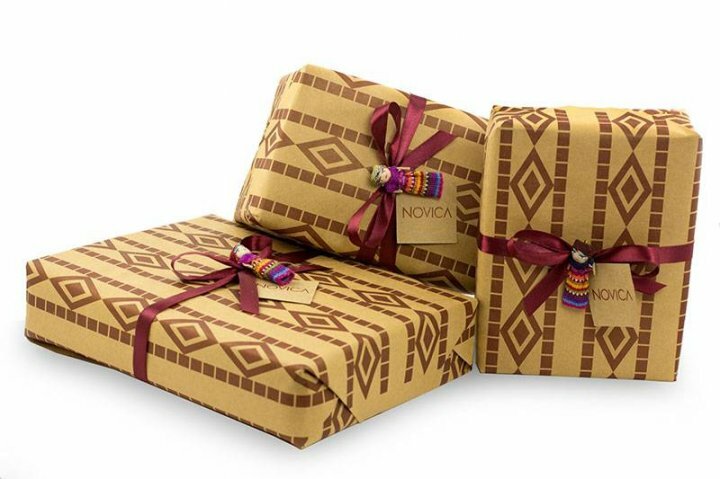 In the modern day world, gifting isn’t confined to just special occasions or festivities. Organizations of all sizes, at all levels in every realm of business, are mindful of the trends of corporate gifting and conscious of not only identifying but also honouring the efforts & contributions of their employees, partners and clients. Every company albeit has its own rules and processes for corporate gifting such as the cost of the gift given. 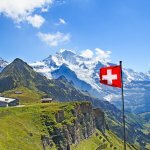 There are etiquettes that should be consciously followed in the professional realm and more so when it comes to gifting women like avoiding personal gifts. Gifts that apply to a person’s body, like perfumes, clothes, and jewellery or body lotions are way too personal and a strict no! While wine is often appreciated, it can go wrong for a lady who doesn’t drink, has religious sentiments and/or may be a recovering alcoholic. Unless you are familiar with their personal preference, it is best to avoid gifting wine/liquor. When selecting a corporate gift, review the purpose behind gifting. In addition to your thoughtfulness, it should be considerably within the spending etiquettes of the corporate world. Extravagance or going over the top with flashy gifts are never well-received, and especially with Women. Neither are cheap quality or low priced gifts, given thoughtlessly for the fun of it. Women usually multi-task, what with their juggling profiles of being a homemaker, mother and professional altogether. When brainstorming for Women partners from the corporate gifting perspective, it is best to choose things that can help organize life better for women professionals. For instance, cute and practically useful office supplies, funky storage boxes, professionally appealing bags that serve a dual purpose of looking like handbags, but are functionally diaper bags, for working mums who may step out from the boardroom right out to the playroom! These bags can not only store baby gear but also work papers and work gadgets, making them apt to carry to work. Gift Subscriptions to professionally enhancing and personally motivating books, Certificates to workshops, seminars or training that support Women in the Business world is an interesting choice for corporate gifting from their future aspirations viewpoint. In the same breath, E-readers, an External Data Storage Hard Drive are good options to explore for today’s confident women professionals. Women magnates are no longer staying behind in today’s corporate arena. They are not only standing independently for themselves but are also paving the way for other strong women in support to make their mark! When choosing gifts for Women Professionals, it is best to look at a combined package which is not only practical, in tune with the current trends, but also makes a style statement that Women prefer to make in anything they do. 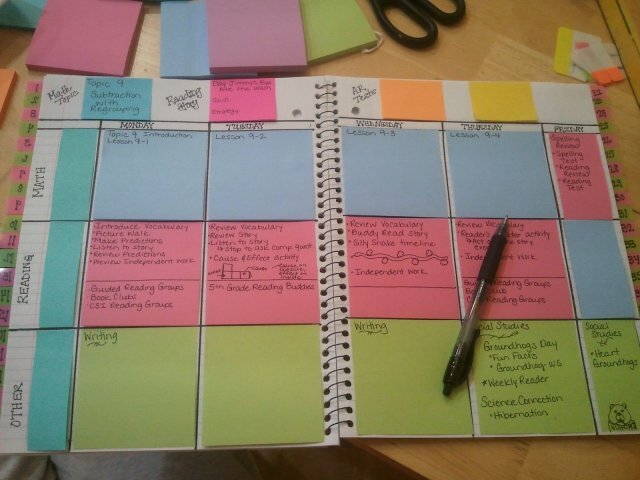 For instance, a 10x Journal for entrepreneurs which is not only designed to help plan and use time constructively but also features space for making notes of past accomplishments, which turns out to be quite a motivating aid for the one using it. Then a minimalist business card holder is a perfect business tool to have handy when she wants to travel light and avoid taking a whole wallet or purse for a meeting. In the era of technology, what’s a better way to stay connected, but to have a compact yet the best mobile power bank. 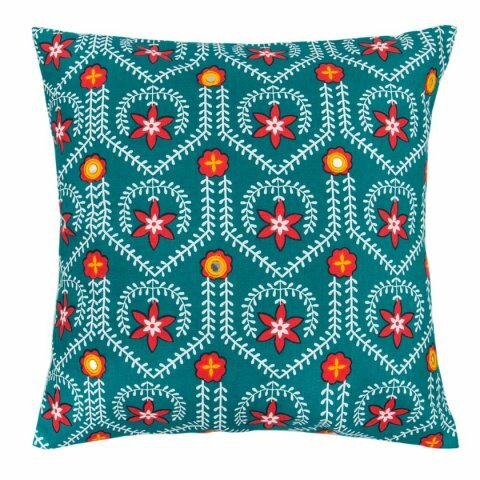 With a little bit of quirk, a dash of style and a whole lot of vibrant colours to jazz up the interiors of any living space during the Diwali festivities is the Patterned Party Cushion Covers Set from Chumbak. Made from cotton and polyester, these cushion covers will adorn any home with their multicoloured party prints and add a touch of class to any space. 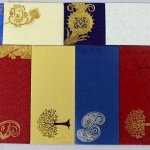 Measuring 40.5cm in length & 40.5cms in width, the square cushion covers set comes with 5 differently coloured and differently patterned covers, all priced in a set for Rs. 1,595. A sleek and travel customized case that makes it convenient to carry women jewellery items with ease, Christie’s Travel Jewelry Organizer is made of premium Croc embossed leather with a zipper and classy leather tassel pull, crafted to place each delicate item of jewellery in its rightful and spacious holder. Portable to carry around without the need to worry about losing any! In sapphire blue colour and a canvas pouch with drawstrings, the Travel Jewelry Organizer comes with a good quality leather strap that’s detachable, soft velvet gusset compartment, 4 snap button necklace hangers, a soft velvet pleated compartment and snap button ring holders & earrings strap, and a snap button key holder in leather. Measuring 23 cm (L) x 13 cm (W) x 2.5 cm (H), the Travel Jewelry Organizer is priced at Rs. 2,295. 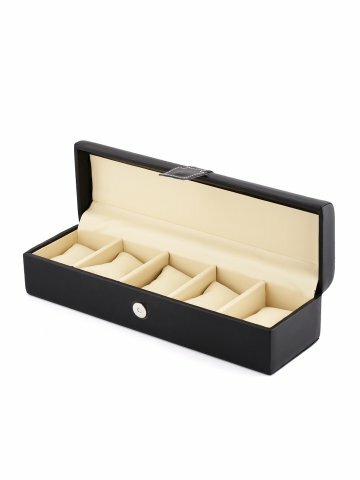 A rectangular watch organizer that’s textured in black and comes secured with a magnetic button closure tab, the Unisex Watch Organizer Case is made of synthetic leather & MDF wood. The Watch Organizer Case has the magnet button closure contrast stitched detailed on the tab & an embossed logo on the front. 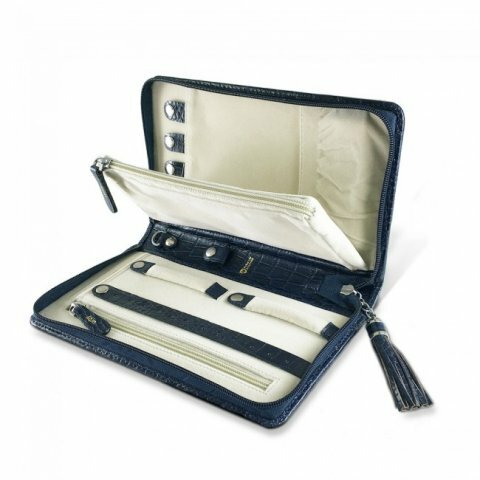 With a beige inner, separators & padded watch cushions, the watch organizer case can hold up to 5 watches at a time, comes in a bag. It is priced at Rs. 749, measuring 10cm x 34cm x 7.5cm (l-w-h). The spill-proof Thermal Suction Bottle from Cosmic Showers is a high-quality stainless steel bottle with a capacity to store 400ml liquid and keep it warm or cool for almost 8 hours. Innovative and stylish with a flexi-carry handle, the bottle won’t fall if accidentally knocked down. With its clever grip bad design, the bottle reduces the spills. 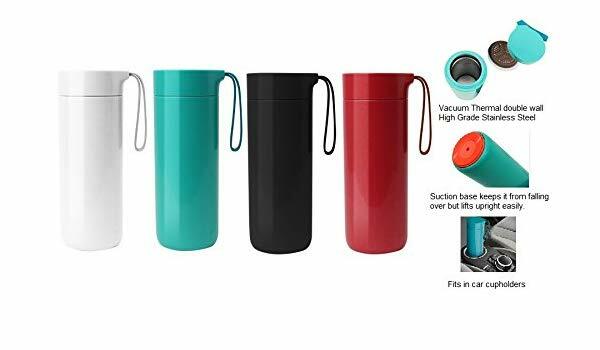 With a twin wall vacuum insulated for high-temperature retention, the Thermal Suction Bottle is perfect for travel and long journeys and is made of silicon filter that’s food grade safe, non-toxic, detachable for easy cleaning and is priced at Rs. 799. 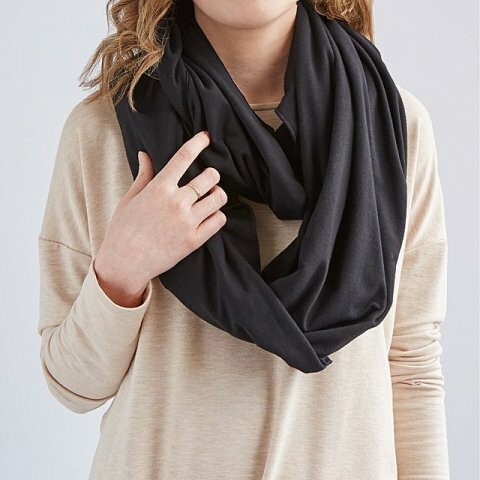 Soft, warm and extremely stylish, the Convertible Travel Pillow Infinity Scarf is made in California, Los Angeles. Lightweight and compact, the scarf has a stylish exterior which conceals a U-shaped and zippered pocket around the neck which holds the travel pillow in place, unnoticeable until used. When needed, the pillow can just be unzipped, with a few puffs of air blown in to inflate it, the soft & warm scarf will also protect its wearer from the fluctuating flight temperature and slip into a nap comfortably making for a refreshing & well-rested sleep. The Convertible travel pillow infinity scarf is made of 5% spandex and 95% cotton, measuring 77" L x 15" W and is priced at Rs. 2,495 and available in black or grey colours. 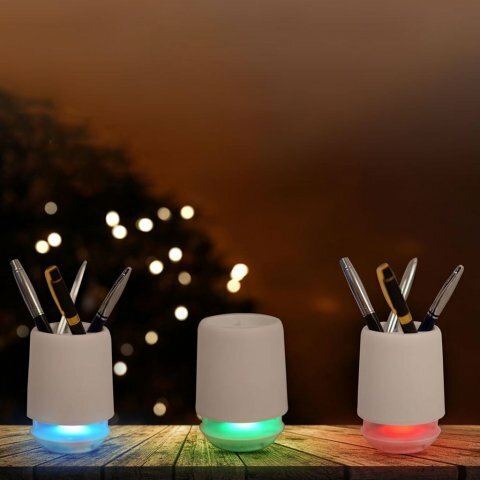 An innovative piece, this Bluetooth Speaker Pen Stand from propshop24 combines the dual function of a pen stand and a Bluetooth enabled speaker, keeps a desk clutter free by storing all pens, pencils and some other stationary items in one place, can be connected to a phone or any other medium with a Bluetooth feature to stream and play music. The Bluetooth Speaker Pen stand includes an aux in power output: 3W Micro SD card and is priced at Rs. 949. Most people prefer being in an open and fresh environment when at work, and women especially love having greenery around them. A perfect Diwali gift option, hence, would be a dainty bloom in Pink Tabletop Moss Frame, which is a beautiful arrangement that appeals to one and all. 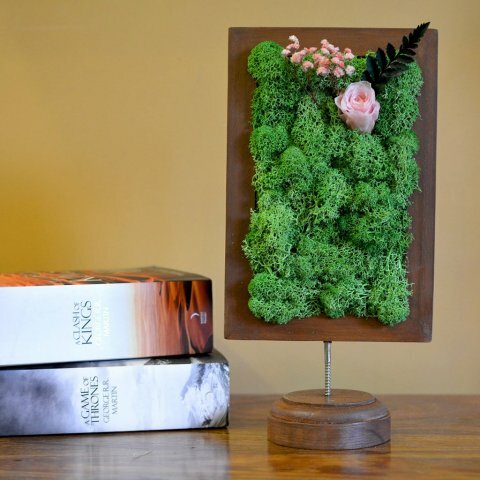 Made of a raw wood frame, reindeer dyed moss, preserved rose, fern & baby breath, this gorgeous frame makes for a lovely corporate gift to keep on the desktop, measuring 6” x 12”, priced at Rs. 1,050. The tabletop moss frame should be kept away from direct sunlight and water. The Baby Angel Tea Light Candle Holder measuring 12 x 7 x 16 cm is made of porcelain, in white, making it a visually appealing décor piece as well as a gifting option. With ample space to hold 4 tea-light candles (not included in the pack), this Candle Holder brings with it feelings of calm, serenity & joyfulness during the festive season & every day, in offices or homes, and also blends well with any décor. 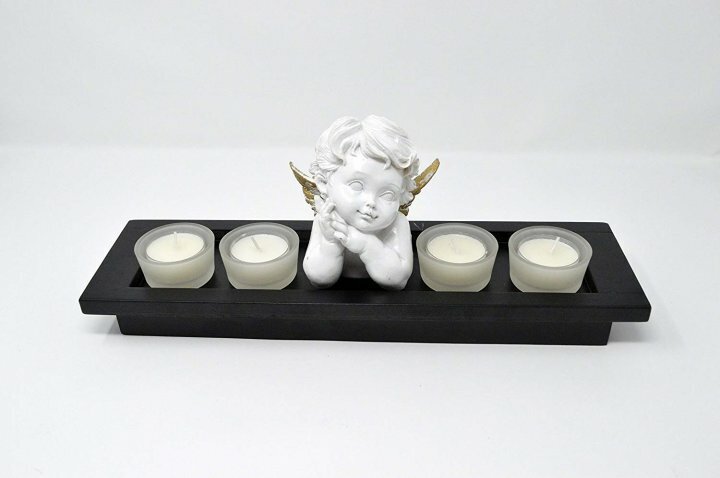 The Baby Angel Tea Light Candle Holder is priced at Rs.1,048. A festive gift box from Exalte with an assortment of Kashmir Valley Green Tea, Yoga Tea, Apple Cinnamon Green Tea and Ayurvedic Anti-Stress Tea, each in a 100gms bottle with a year’s shelf life comes packaged in a branded gift box. The assorted tea blends are made of apples, rose petals, a variety of flavorful spices, ginger root, liquorice root, lemon rind, green tea & black tea, almonds. These mixes of green and black tea concoctions aim at weight loss, management of cholesterol, regulating blood sugar, providing dietary fibre, preventing constipation and revitalizing the immune system. 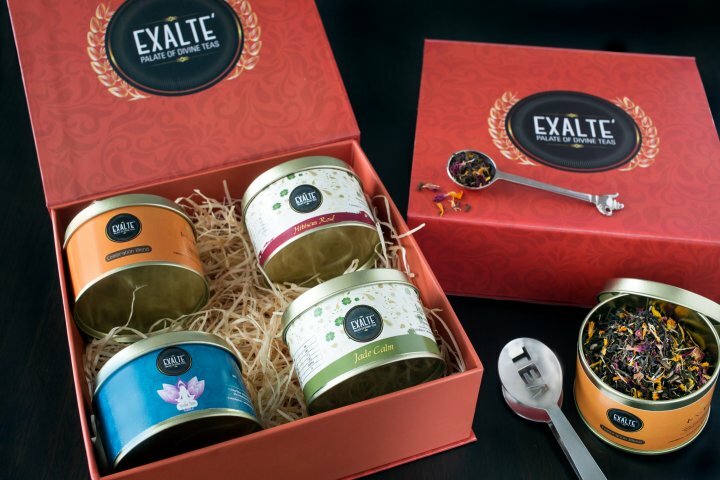 A perfect gifting option for the festive season, the Exalte Assorted Teas Gift Box is priced at Rs. 1,400. The combination of propshop24’s Laptop Sleeve and Heartzy’s Flora Business Card Holder makes a style statement for the women leaders of today. Designed with a flip top magnetic closure and lined with polycotton, it keeps the laptop protected from scratch or damage, and can comfortably accommodate a 15” laptop. 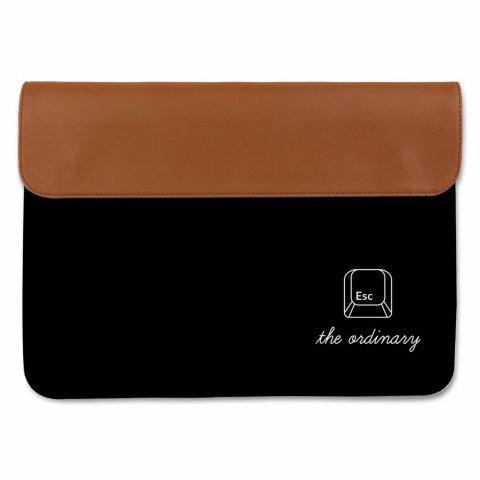 The Canvas Laptop Sleeve is made of Canvas and PU Leather by designer Nitisha Chawla and is priced at Rs. 1,350. Heartzy’s Business Card Holder is a perfect match for the laptop sleeve to keep all business cards stored in style, and comes with a glossy and urbane design, comfortable for storing 10-14 business cards and/or 2-3 credit cards. With a durable metal case & bubble epoxy lamination, the Business Card Holder is priced at Rs. 490. 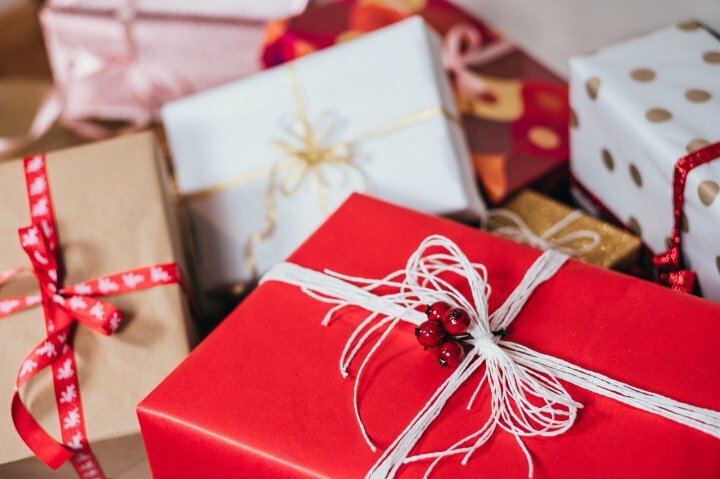 Gifting business partners can be quite a challenge, for a gift that’s of no use or doesn’t match your company’s values may prove to be disastrous. 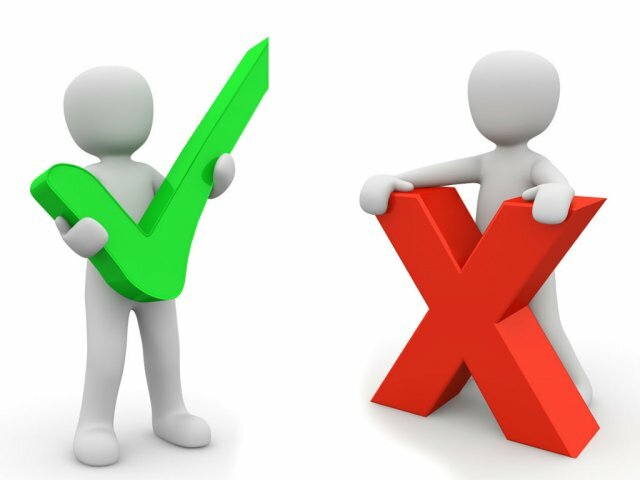 It is wise to review the message you wish to convey with your gift and ascertain if it matches the company’s maxim. 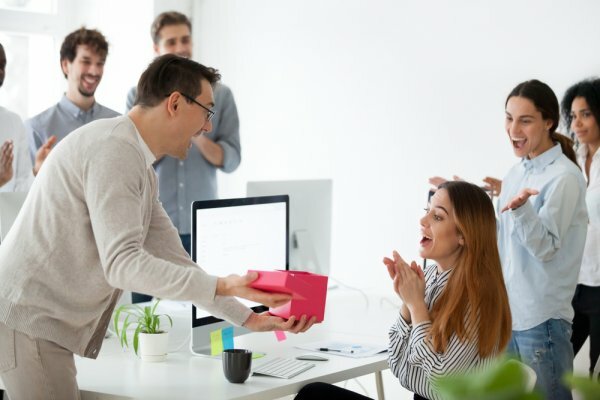 Gifting employees is an initiative that can reap huge benefits in your company’s productivity as well as strengthening the association, the trust and objectives you share with them. You can explore gifts that are practically useful for them, have your HR team involved in regular surveys that shines a light on what kind of gifts are preferred by the employees as well. 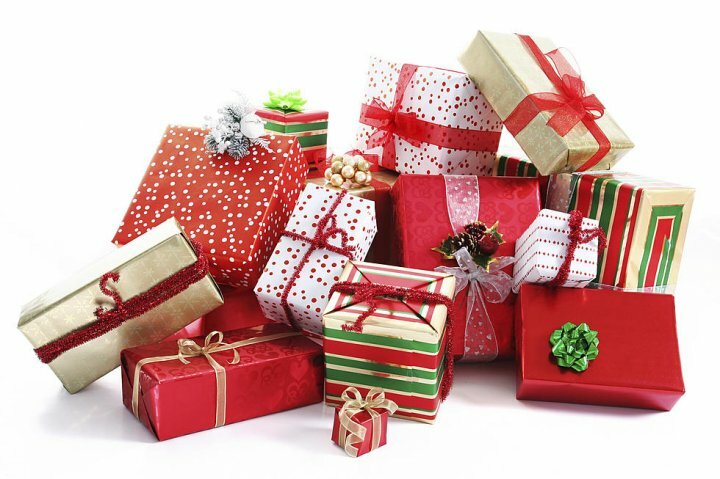 Thinking from the receiver’s viewpoint is one of the best ways of selecting a gift. Whether the gift selection is for employees, business partners or clients, when you think from their perspective, making the right choice becomes easier. Any woman would certainly appreciate all the gifts presented above as they are all very thoughtful gift, but different women would appreciate some more than the others. It's therefore important to think from the receiver’s viewpoint. As mentioned earlier, whether the gift is for employees, business partners or clients, when you think from their perspective, making the right choice becomes easier.